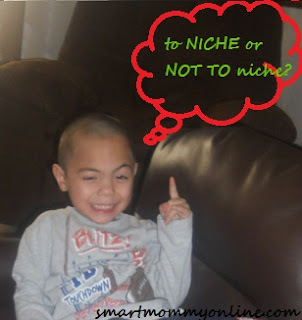 blog post, featured, niche, seo, technology » To Niche or Not to Niche? To help some confused bloggers whether it is important to have a niche or not, I asked this question to Filipino Bloggers Worldwide, "In blogging, is it important to have a niche? Why or why not? ", and here’s what they say. Trish Baylon- Yes, this serves as guide to your posts and according to others, niche blogs is easier when it comes to SEO stuff. Paolo Ubiadas- niche since it is easier to make an article because you have an idea of what topic to write. 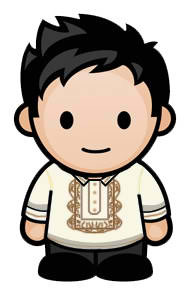 Papaleng Pagulong- with niche because it is SEO friendly. Ted Claudio- I think niche blog is better if you really want to specialize on something which is your main interest or speciality. I have a photography niche blog before but switched to general when I got invited to events. My mentor told me to have a general blog for flexibility and consolidated traffic. I think it really depends on your interest and forte. I like events so it's more practical to have a general blog in my case. Justin Vawter T. Buenagua- I don't really rely on SEO because it's too complicated, but speaking on a different perspective, with niche is much better. If you are a reader, it is difficult to read a general post. I guess the best way to try if your blog really works is ask yourself, if I am the reader, would I love reading my blog? ChrisAir Martinez Abenes- I agree with them, niche blog has a better chance for visitors to read more post in your site. Ellen Bernardino- In my opinion, for new bloggers, it is better to start with niche blog according to your interest to share with everybody and a general blog if you have a lot of followers already. Earl Pablo- At first I let the passion in writing to grow. That is the first step. Write everything what comes into your mind. As you develop you can find your niche. Having a niche serves as your second identity. You will be known and identified with it. SEO comes second. Mark Morfe- For me, its a yes because readers would be able to remember you with your strengths found in your niche. Ironically though, I'd still prefer a mixed-type for flexibility and variation. Delora Sales-Simbajon- It's a yes for me for two things. You have more focus on what you write about and it's so much easier to get advertisers and sponsored posts if you have a specific niche. Jam Kuh- For me it is important to have a niche for your readers, they will think of your blog when it concern some topics, let's say regarding fashion, travel or whatever. My say - If you are new into blogging and still don't know what topics you are going to write or there a lot of topics going on in your mind then go for a general blog and from there, if you think that you are ready for a niche blog then go for it. Find your way to a better blogging career and eventually earn from it. So, what are your thoughts? Share it here. I've been blogging for quite sometime. I started out with a general blog, as you have suggested at the end of this article. It's more like testing the waters. I decided to do a niche blog because I finally found a topic that I could sustain, and write a lot about. I think one of the advantages of a niche blog is that you focus on one theme or topic. It has a better chance of getting a good following from people of the same interest, than a general, anything goes type of blog. If you do opt for a general blog, you still should at least have main categories within. Just my opinion though. You actually choose whatever works best. I agree with pretty much everyone. Niche blogs are easier to promote and easier to rank for. You'll be able to create a following a lot easier because people will remember your blog because it's very specific. Starting an "anything goes" type of blog can work but it's going to take a while and a lot of work to get it noticed/ranked. In my opinion it's better to start with a niche blog first and then start branching out to related subjects once you've already earned some success with it. I guess when you just started, it's easier to blog about anything. Then when you're already experienced, you can focus on a single topic. I can go for both. I mean, they share their own advantages and disadvantages so having a general blog and niche blog is ok for me. A niche blog would definitely have a wider range of readers. You don't want to be all over the place. I started with a general blog, because back then, I had no idea what I really want to write about. Then I grew as a writer (in my opinion, hehe), so I started a new blog with a niche. Wow! I never imagine my comment would be included in here =P. Anyway, a dual- or a tri-niche blog would probably work. Just like most people, I started blogging without any real idea about what to write about so I started with a general kind of blog. As I got to know about the SEO business however, I realized that if you want to earn from blogging, having a blog with a niche is more effective. I think Ate Tess we have to experiment for new blogger in my own opinion must have to write what he specialized.. so he can focus on that topic..